Thermos products deliver what matters every time, and the 12 ounce FUNtainer Straw Bottle is no exception. This hydration bottle keeps beverages cold up to 12 hours and features a hygienic, push-button lid that makes this straw bottle is easy to open and drink from. 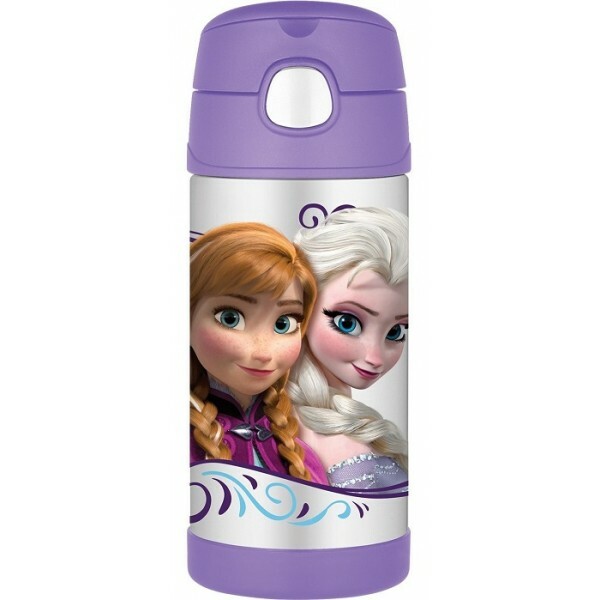 The Funtainer Straw Bottle is made of BPA-free materials and is backed by a five-year limited warranty, but what kids will love most is the fun pattern featuring Anna and Elsa from Frozen.